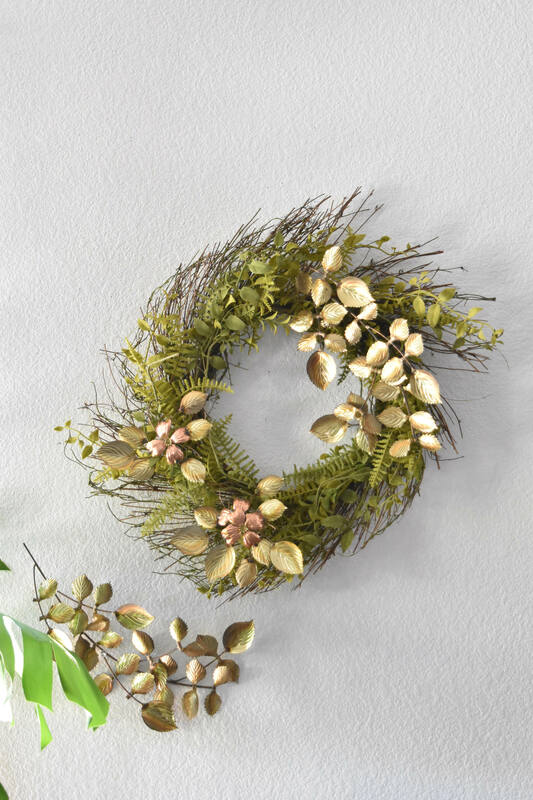 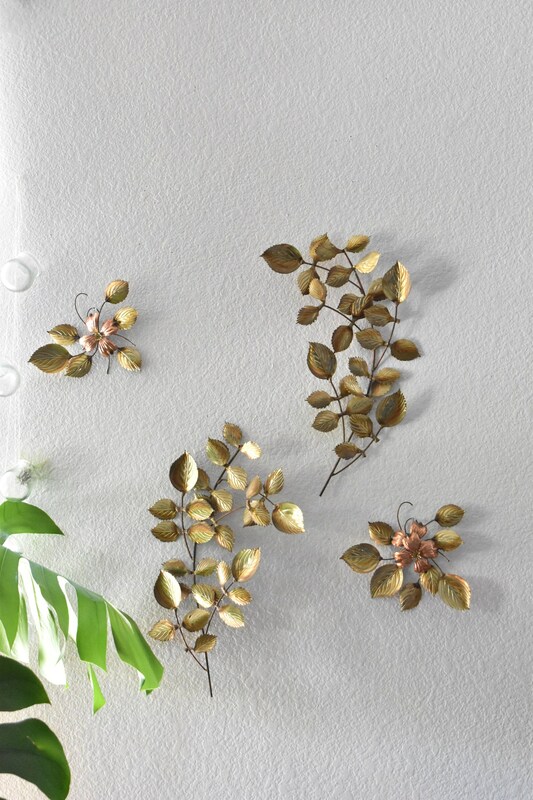 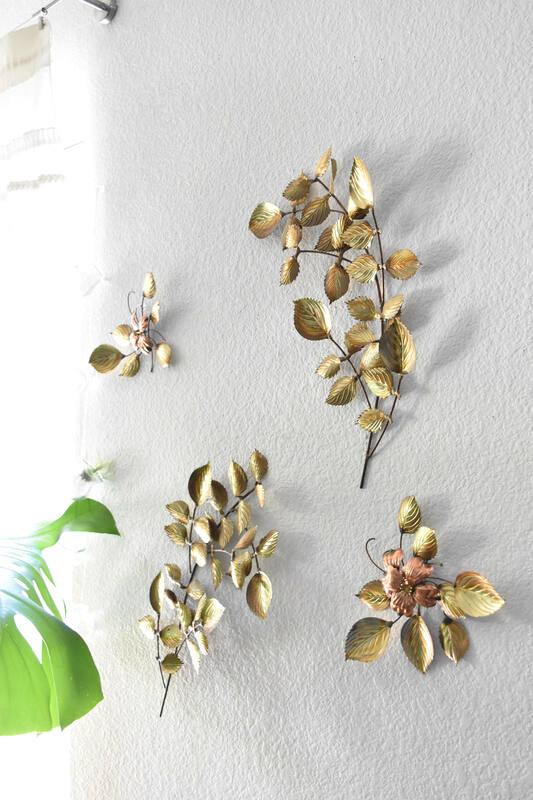 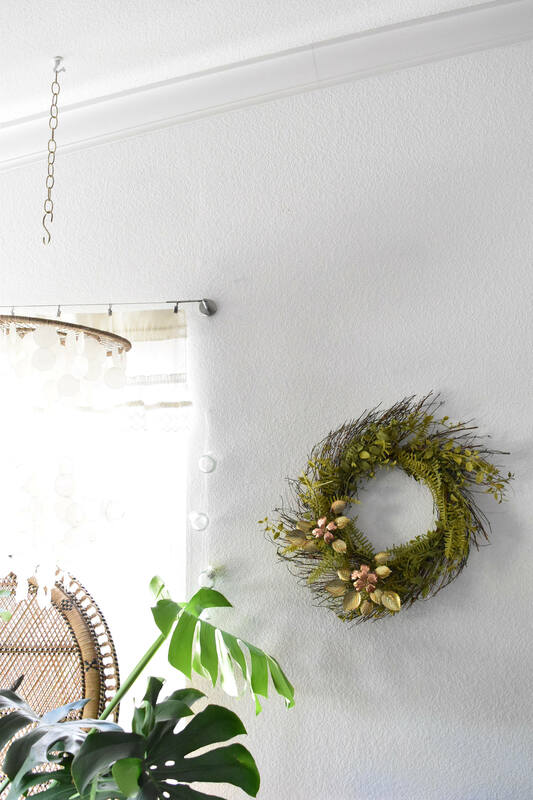 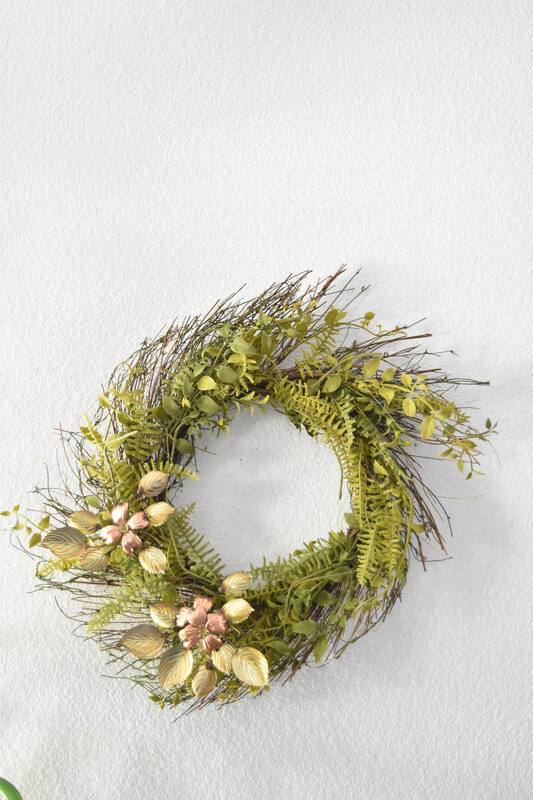 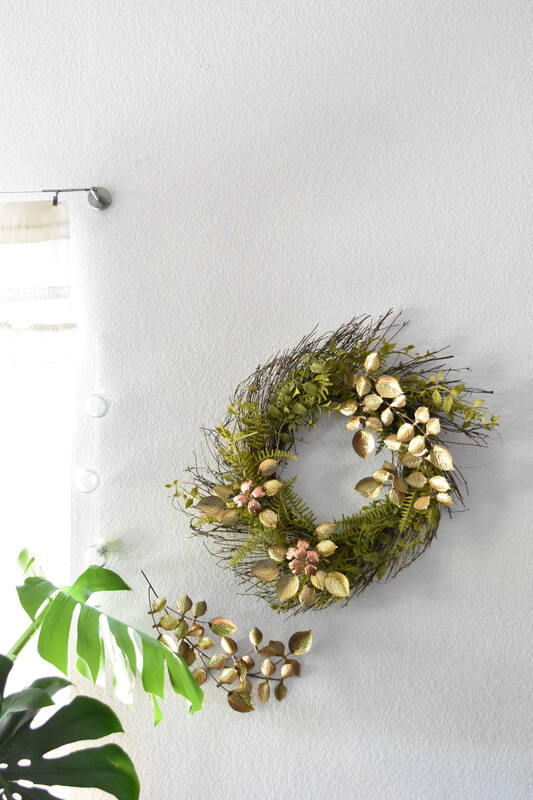 Beautiful Jere style brass and copper wall art featuring gorgeous branches and flowers. 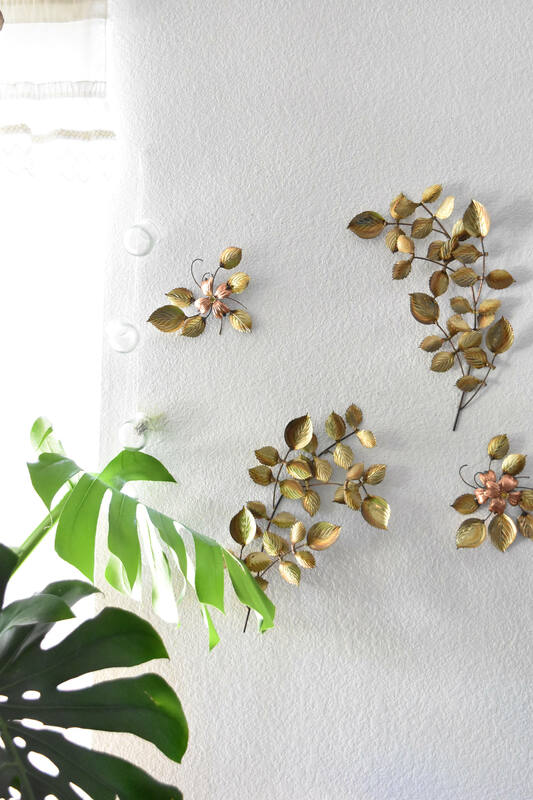 This set comes in 4 pieces: 2 branches and 2 flowers. 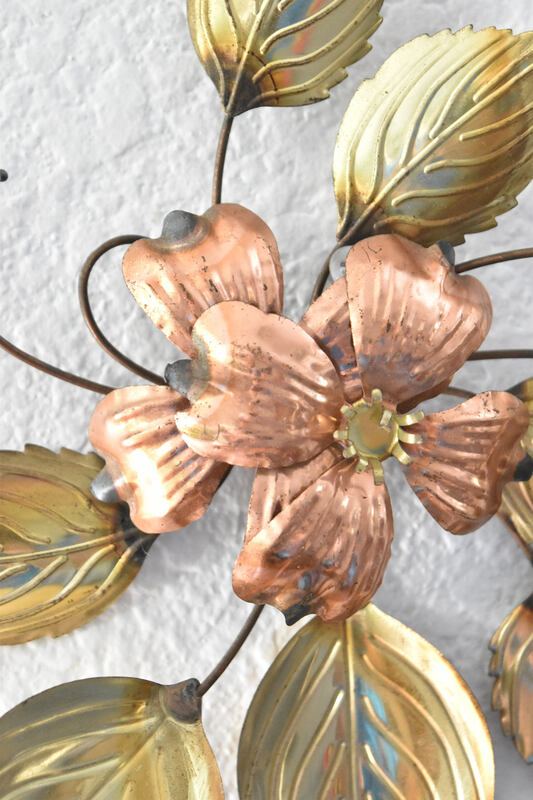 All pieces are in good condition with light tarnishing. 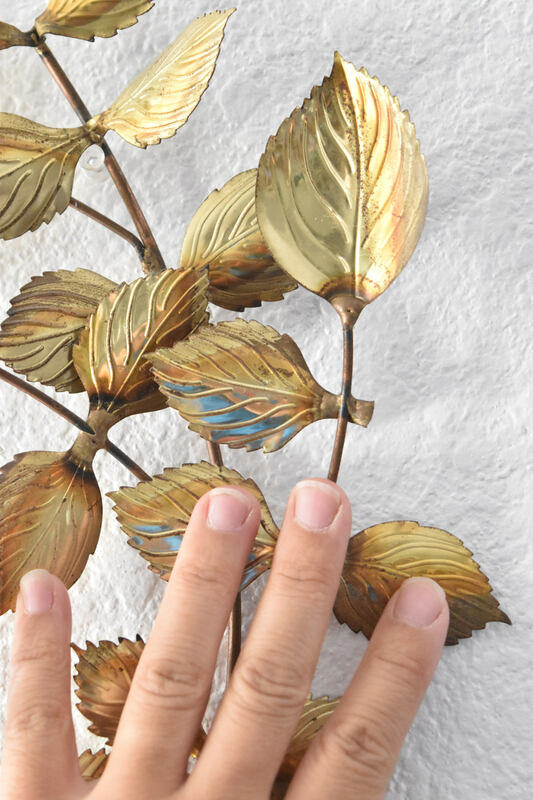 One broken leaf found.